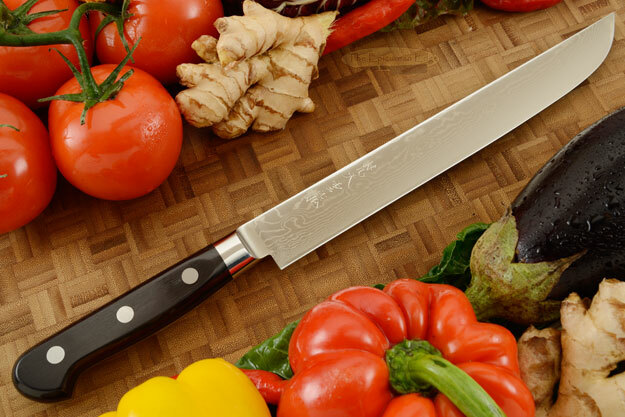 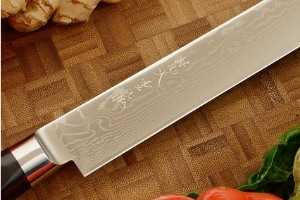 Product Description for Ryusen Damascus Carving Knife - Sujihiki - 9-3/4 in. 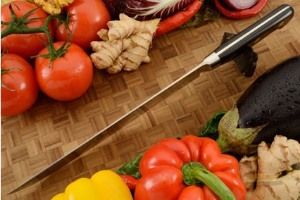 Description: Sujihiki are slicers or carving knives that are well suited for slicing steaks due to the extra long blade. 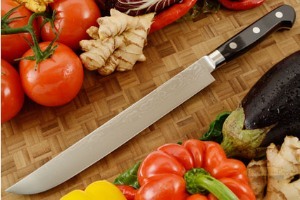 Extremely sharp, as they are they are also well suited for preparing sushi and sashimi.